Are you struggling with troublesome pockets of fat that remain despite your best diet and exercise efforts? SculpSure® body sculpting treatments delivered by the medical professionals at the Profound MedSpa in Trooper, Pennsylvania, could be your solution. SculpSure can even reduce that double chin your parents passed down. Call or use the online scheduling tool to make an appointment and learn more about this nonsurgical, noninvasive method of reshaping your curves. What makes SculpSure® so effective for body contouring? SculpSure uses advanced laser technology for targeted, non-invasive, subcutaneous (under the skin) fat reduction. It targets the abdomen, flanks, back, inner and outer thighs, and submental (double chin) area. The energy produced by this patented and FDA-cleared laser system is attracted to fat cells, which it targets and then heats to the point of cell destruction while leaving your skin and other surrounding tissues unharmed. Your body then uses its natural waste-recovery process (lymphatic system) to carry away the cellular debris for disposal. SculpSure uses a flat applicator design that provides consistent and natural-appearing results, with treatments that can be customized to fit your needs. Because the system is designed for hands-free use, the applicators are secured into position at the start of your treatment and you’re free to relax as the machine does its work. Your provider will remain nearby, however, to monitor your progress. Designed with patient comfort and safety in mind, the SculpSure system provides a truly effective method for permanently eliminating unwanted fat without surgery or a lengthy healing process. You simply go about your normal activity as your body does the work of removing the dead fat cells. How long does SculpSure treatment take? SculpSure treatments are fast, requiring about 25 minutes per treatment area. Many clients find they can schedule their sessions to take place during their lunch hour. The versatile size and shape of the applicators provided by the system enable your provider to treat multiple areas or large regions, like the abdomen, during one 25-minute session. During your pre-treatment consultation, your provider will discuss the treatment in detail, talk about what you can expect from SculpSure, and determine which areas you would like to target for body contouring. 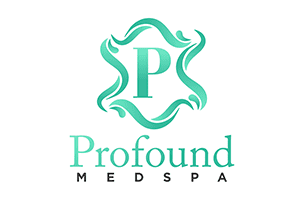 The goal of Profound MedSpa is always to work with you and for you. Most patients report only a very mild tingling sensation during the treatment that is generally very well-tolerated. Treatment areas may feel a little tender afterward, but that typically fades quickly.